Builders may no longer be able to take homebuyers for a ride as the state government has started the process to ratify Real Estate Act which will have provisions to set up a regulatory authority and penalise promoters delaying housing projects.The Tamil Nadu government is likely to constitute a sub-committee to formulate rules for notifying the ambitious act eight days after the centre unveiled draft rules for the Real Estate (Regulation and Development) Act 2016. State governments must frame rules to ratify the central act within six months after the act came into force on of May 1. The legislation aims at protecting the interests of buyers, stringent action against promoters delaying housing projects, single window clearance and establishing Real Estate Regulatory Authority to redress the grievances of consumers. A high-level meeting of top officials representing various bodies attached to the state housing and urban development department was convened on July 2. The meeting discussed the recent draft rules of the union ministry of housing and urban poverty alleviation, official sources said. “The discussion was around the draft rules and provisions like establishing real estate regulatory authority. A sub-committee is likely to be formed for framing rules of the act,” a senior housing official said. Another official said, “We would be framing the rules by October 31”. However, the Tamil Nadu government has not yet decided about the quantum of penalty to be levied on defaulting promoters. The draft rules released by the Centre on June 24 say developers must pay 11.2 percent interest to buyers for delay in handing over apartments and homes. Any violation like increase in the size of apartments, change in layout and construction of additional towers in a project without taking consent from 70% of the allottees can lead to cancellation of registration. Though the Centre’s draft rules covers only five Union Territories without legislatures, states are at liberty to modify it or draw their own rules. 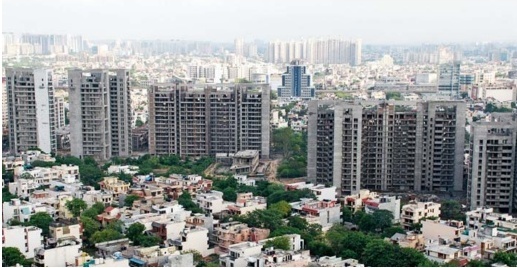 Senior officials including urban development secretary Dharmendra Pratap Yadav, representatives from the Tamil Nadu Housing Board and Chennai Metropolitan Development Authority (CMDA) participated in the meeting, sources added. 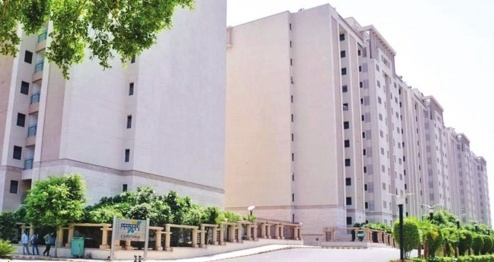 Meanwhile, CREDAI Chennai chapter chairman Suresh Krishn has sought the government to define the term “existing projects” and clear the air on date from which projects would come under the purview of the act. Mount Road holds a lot of potential to attract commercial brands and with a few hurdles removed, it can reinvent itself for today’s times. Reinventing older places can lend it a new charm. In New Delhi, Connaught Place is an important business hub but by the turn of the 20th century, it needed a facelift to attract shoppers and retail players. The New Delhi Municipal Corporation carried out a renovation project that began in 2008 to give a facelift to Connaught Place. Many years down the line, the change is remarkable. While the renovation has drawn several brands, the area has become more streamlined with LED vacancy display boards to sort out parking issues and also has a free wi-fi zone. While Mount Road is too vast a stretch, systematic work can breathe a fresh lease of life into this area. T Chitty Babu, chairman and CEO, Akshaya, says that Mount Road holds a lot of potential. “We have been working towards the conversion of Mount road into a new hub of business. If you talk about infrastructure, the stretch is incomparable. There are large parcels of land and the connectivity, electricity and sewage systems are all in place. The connectivity via public transport is excellent in this area and with the opening up of the metro, it will be all the more accessible,” he says. There are a few concerns that stop new-age retail brands and restaurants from moving to this part of the city. “On Mount Road, many areas like Richie Street or Whites Road are home to electronics and hardware businesses, and the businessmen w ho run them are not among the eating out crowd. The restaurateurs will expect a steady flow of customers when they open a high end outlet,” says Arasu Dennis, a consultant for F&B brands. “Also, in the melee of metro work, the quality brands can get lost. For a food and beverage business to thrive, it has to be supported by commercial establishments, residential market , hotels and malls. It’s not that there aren’t upscale eating joints nearby. One can find them in Express Avenue, Pantheon Road or even on Greams Road. But once the metro work is completed and traffic eases out, many new brands will be willing to open shop here” he says. While the completion of the metro work will ease out traffic, a few other issues will have to be sorted out before the area can be given a new face. “Many of the older buildings on Anna Salai are strata titled. Since there are numerous owners and lack of any consensus, the associations are not able to push through redevelopment proposals. However, a few leading developers are trying to acquire space here for commercial projects,” says Sarita Hunt, MD Chennai and Coimbatore, JLL. The biggest disadvantage on Mount Road is lack of ample parking space. “While the British planners did lay down a wonderful road, the buildings that came up along the stretch were not constructed keeping in mind the surge in the number of vehicles. For commercial development to grow strong, parking and toilet facilities have to be factored in. When you come up with a large commercial complex, these facilities should be available. Even a place like Spencer Plaza wasn’t planned with sufficient toilets to meet the footfalls that it got. Even with a prominent outlet like Higginbotham’s parking is an issue,”says T Chitty Babu, who feels that once a few developers start work there, it will soon become a trend. Anna Salai, is a key arterial road in Chennai. Proximity to the RBI and SBI clearing houses, high court and government establishments makes Anna Salai a preferred location for banking, financial services companies, law firms and corporate offices “The traffic scenario has to be brought under control. Today, if you miss a turn on Mount Road, you will lose 20 minutes taking a diversion and reaching your destination. The signals and platforms also need to be worked upon,” says Arasu. However, few areas in Chennai can boast of the advantages enjoyed by Anna Salai. Hence it makes business sense to invest time, effort and money in the area. While one option is to redevelop a property to bring in an entirely new structure, there is also the option of restoring the older structures to put them to commercial use. “One can follow the method of adaptive reuse,” s says Dr S Suresh, of INTACH. “Mount Road has many heritage structures and some of them are not being used due to issues related to litigation. But many of them have been well-maintained by the owners over the years. Chennai has the expertise to put these old structures to meet modern requirements,” he says. Housing projects located 300m from the main road are in high demand as they are cut off from the cacophony of the city. It started out as a marketing move when the price of property on arterial roads shot through the roof. Realtors started selling properties away from the main road using ‘away from the noise’ as the USP. But now, it is becoming a demand. Experts say noise evil in a residential area is a key factor for home buyers. “About 50% of the buyers now want a plot that is away from the main road,” says Suresh Krishn, president of the Confederation Of Real Estate Developers Association Of India in Chennai. Even hotspots like T Nagar are not spared. ” A residential plot off a busy road definitely has more demand, even in T Nagar. People want to stay away from the main roads,” says Sriram Ganapathy, member, Chennai Architecture Foundation and managing director of KSM Architecture. “Low noise levels is also one of the reasons why Boat Club and Poes Garden are expensive,” he adds. The biggest demand is for housing projects located 300 metres from the main road.”While you might have better appreciation of property on the main road, you get a better quality of life off it,” says Krishn. In luxury and high-end projects mostly situated on main thoroughfares, noise is cut out using several techniques, such as doubled glazed windows. “They cost twice as much as regular windows but do not add too much to the overall cost of the construction,” says Ganapathy. “However, this means you cannot open the windows, which would force residents to use more air conditioning,” he adds. The glass they provide has two panes with a gap in between, which can either be filled with air or an inert gas like argon, which has insulating properties. The two sheets of glass and air insulation helps keep the noise out. “It’s is popular in homes and offices in a noisy neighbourhood, but it is more expensive than installing ordinary glass windows,” says Suresh, adding that while glass windows cost around Rs 55 sq ft, the sound-proofed version is priced from Rs 200 to Rs 300 per sq ft.
Architects say soundproofing is a priority for road-facing projects. “If we are developing a house from scratch, we take anti-noise measures at every level,” says Nanda Devi, partner at Chennai-based Invent Architects. Compound walls are built taller, buffer walls are created at the entrance if it is road-facing, and the garden is spread out in front of the house, to act as a sound buffer between the road and the living room. “Shrubs, bushes and trees are a natural sound barrier,” says V Vivek Kumar, also from the same company, adding that a buffer wall can help keep out both sound and heat. Indoor panelling, he says, costs around Rs 800 per sq ft and a buffer walls costs around Rs 350 sq ft. Other stopgap methods to cut noise, says Devi, are to seal any cavities around windows and doors that let noise in, and double window drapes -a thicker curtain to keep sound out and a sheer one to allow light in. A part from the fact that new launches have gone up in the city, giants in the sector are also coming up with homes within your means. 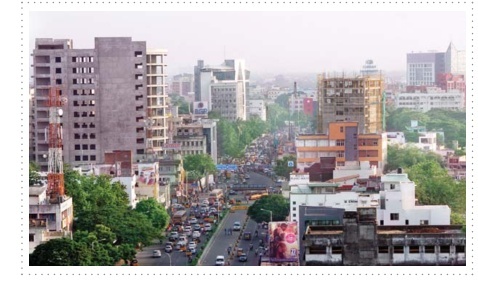 Around 15 projects, slated for possession by 2018, are coming up in the Chennai market. Areas, such as Avadi, Poonamallee, Tambaram, Kelambakam, Oragadam, Anakaputhur, Siruseri, Nallambakkam, Urappakkam, Ambattur and OMR come under this category. Oragadam, Sriperumbudur, Padapai and Guduvancheri could be marked as locations with potential. Prices are in the range of Rs 20-50 lakh for 2-BHK units depending on the size and the location of these homes. Naturally, if you are opting for homes with amenities such as regular water and electricity supply and conveniences such as those found within society houses like joggers’ track, kids’ play area and shops within your premises, prices go up further. The peripheries have shed their fringe-look. Of late, the profile of buyers has also been changing, from blue collared to white; the outskirts are now all encompassing. Top reasons for such a change include increased business investments and opportunities, relatively cheaper real estate prices, cultural diversity and multidisciplinary growth avenues such as digital marketing, advertising, engineering and business. All this has led to a sizeable proportion of new buyers, even non-locals to make real estate investments in the city. Plots have given way to multi-storey apartments. Large townships have also entered Padapai, Oragadam and Sriperumbudur. “Four-lane road stretches, IT companies, manufacturing industries, all these came to Sriperumbudur from areas like OMR. Increasing customer base also led to some business giants shifting into bigger units in these locations. When jobs come, buyers will not be far,” says Sushil Menon, a consultant in the city. Guduvancheri would benefit on account of the many IT, industrial as well as educational institutions. Another reason is its connectivity to OMR and therefore, buyers, looking for an alternative to OMR, have a number of options. Proximity to the airport is another boon. For a first time buyer, Budget 2016 laid out some favourable provisions. If the value of the house does not exceed Rs 50 lakh, you are entitled for an additional interest deduction of Rs 50,000 per annum, provided the loan amount sanctioned is up to Rs 35 lakh. While this was good news for consumers, developers got to have their share with the announcement of cent per cent tax deduction on profits from affordable projects. Such a move can further the cause of ‘Housing for All’. (There has been debates about the inequitable housing space calculation 30 sq mt in four metro cities and 60 sq mt in tier II cities. Even the three-year window for project completion could have been for a longer duration as approvals and construction typically take a long time). The direct and indirect tax benefits for affordable housing can catapult the Smart-city initiative too. What should be good news for home buyers is the fact that as per our inventory data, there are over 400 apartments across Chennai up for sale in the secondary market with a token price within Rs 20 lakhs. Your options double up if you are looking out for plots. The city index for your city suggests that the average price growth is steadily climbing up. As of now, the good news is that unsold inventory is also piling up which makes it a buyers’ market, where you can negotiate. But various incentives plus pent up demand over the last two years may result in a further hike in prices. A lot of big names are taking interest in launching affordable homes. Looking at trends in the city, it may be a good time to invest considering that real estate is seemingly making a comeback. Moreover, if you are sowing small, you needn’t be necessarily reaping small. Trends project that rental yield has been stable which is encouraging. The restoration of lakes and water bodies can lead to an improved ecosystem in a city that is trying to find the right road to sustainable growth. When rains lashed Chennai last year, attention was drawn to the state of the water bodies in the city. It was an eye-opener to the fact that Chennai was losing its catchment areas that could have held the water better. But soon after the disaster was a success story that brought a lot of cheer. 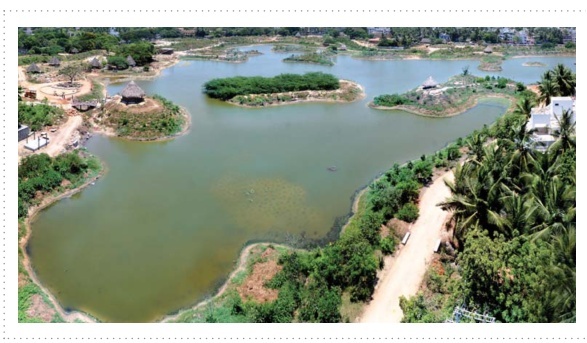 Spread across 15 acres, the Chetpet lake was cleaned up and restored to its former glory, this time, with a park, multi-level car parking and boat rides. This is a pointer to the need for similar efforts in other parts of the city. Dr S Suresh, Tamil Nadu state convenor, INTACH, says that more than two centuries back, when Chennai was full of villages, each village had its own water body. “With increasing urban development, many water bodies have shrunk or have vanished. It’s important to maintain the temple tanks and lakes to recharge our water tables and maintain the ecosystem,” he says. But restoring a water body isn’t an easy task, as explained by Arun Krishnamurthy, founder, Environmentalist Foundation of India. “Getting to know the boundaries of the lake and revival techniques that need to be drawn, keeping in mind the urban encroachments are the biggest challenges. Spending more time in the field and understanding the lakes better gives us a clearer idea on restoring each lake differently. One cannot have a template restoration model,” he says. Organisations like Chennai City Connect and Care Earth have worked on similar projects for many years, most notably in areas like Pallikarnai, Madhavaram and Korattur. The restoration activities in some areas have met with ample success in the recent past. “The Madambakkam lake, Mudichur Seekana Eri, Keezhkattalai, Arasankazhani are lakes which we have been constantly working on and have received support from the residents and local government. The effort will give us better results and increase public participation in conserving Chennai’s ecology,” says Arun, who feels that realtors can play an important role in this regard. Efforts have begun from the developer community in this direction. “Developers would like to contribute to such initiatives where there is an opportunity,” says Ajit Chordia, MD, Khivraj Estates Ltd, citing the case of restoration activities in a village near Navalur. “The land parcel was dry but as per the land records, it was a kuttai, or a water body. When we were developing our project there, we took into consideration this kuttai and planned for its revival. We took over the kuttai from the local panchayat and directed all the rain water into it. We created recharge pits, which now helps in retaining the water table now. For the last three years, the kuttai has not dried out,” he says. Suresh Krishn of Isha Homes cites another instance of efforts carried out by them with the Perumbakkam water tank. “We undertook cleaning and beautification of the water body and also did maintenance for a few years.It has now been handed over to the association. We need the support of the local authorities to carry out these works. While on one hand this comes under the ambit of CSR, it helps if developers work on it so that the ground water in the vicinity of their projects get recharged. The entire ambience of the locality improves,” says Krishn, saying that the system should be conducive for efforts like these.”The system should allow people to undertake efforts like these. In fact, we would like the civic authorities to invite us and develop and area. Credai is willing to undertake restoration of lakes. But political will is required to enhance security in such areas and remove unauthorised obstructions,” he says. However, Arun feels that efforts cannot be replicated as is as every project is unique. “The Chetpet lake model is unique to that lake. Each lake needs to be conserved for its temperature regulation and ground water stabilisation,” he says. Glass has gone from being a mere utility material to being an integral aesthetic element in living spaces. 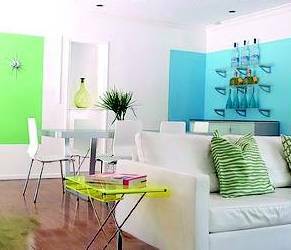 Over the years, interior spaces have become suffused with design, material and color. Despite the fast pace of these changing trends, some elements have remained relevant, becoming classics. Glass is one of them it needs no renaissance and has been part of interiors greatly by its virtue of appearing not to occupy any. Apart from partitions, windows and décor items, glass is mostly ued for lighting purposes. Hemanth, director, Meridian Lights and Light Sutra lighting studios based in Chennai feels that light is the soul of a building, which is why glass is an irreplaceable part of interior décor. “Tinted or stained glass can add an aesthetic touch to facades and windows. Because apartments are limited in size, use of clear glass in lighting makes them look stark. This is where colored and translucent shades play an important role as they minimise glare and better the ambience of a room,” he says. Another reason for the increased use of glass in living spaces is the growing awareness of the ill effects artificial lighting and the fact that glass allows for creative manipulation of natural light.